Following a career at PricewaterhouseCoopers, I set up my own business in 2008 as a coach and a consultant, as a result of becoming of mother to two gorgeous girls. “I am passionate about diversity; about the transformation women undergo when they become Mums; and leadership. I believe we can all choose to be leaders in our own lives and communities. How we live depends so much on our own mindset and sense of wholeness”. 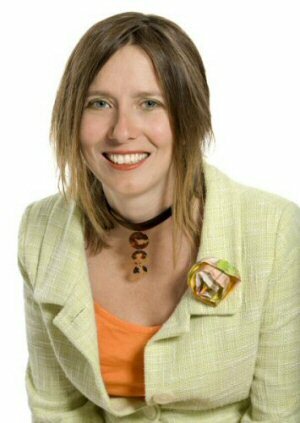 Kate Griffiths is co-founder of Minervas Mind. Minerva’s Mind helps women especially Mums discover what they are really interested in and to see how, by making more conscious decisions, they can use that new found knowledge to get more from their lives. We are delighted to welcome Kate as our regular columnist reflecting the views of mums and commenting on work and life from a mums point of view. There are so many myths about leadership that need to be expunged and the article will debunk one or two. However what I would like to do is spend most of this article talking about what it takes to be a leader. The biggest myth around leadership is that it is the preserve of those charismatic individuals like Churchill and therefore excludes most of us ordinary mortals. Put politely this is poppycock. The word leadership comes from the Anglo-Saxon word laed which means to set out on a quest. Put that way each and every one of us is on a journey and if we are lucky we find our life’s purpose and live from there. When that happens, it is easy to spot in another person. They are filled with passion and conviction for what they are doing and there is something infectious about them that those around want a piece of. From that place there is a desire to lead, to share with others the truth that has been discovered. This happened to me recently. Back in January I had a “tweet up” with two amazing people who live a few miles from my house. It all came about because of a series of coincidences or was it serendipity. The first thing that we discovered was that we were all spiritual people and in fact reiki healers. The connection was almost immediate because of the energetic bond and is very exciting because it works on a mind, spirit, emotional and gut level. Very soon we realised that we had come together because we had a book to write collaboratively. Two months later we have written the first two chapters and once we have met, agreed the theme for the third chapter and produced it, we just need to write a synopsis and we have something to present the publishers. When we last met to discuss our progress we had a rich conversation on the topic of finding our authentic voice so much of which is directly related to leadership. In the next part of this article I am going to share some of those thoughts with you. We all have a desire to belong, to feel part of a community. To some extent this comes from the parenting we receive which some describe as socialising little people so that they ‘fit‘ within society. If you are a parent just think about how much time you spend/ have spent prompting your kids about good manners and saying their ‘ps and qs‘ so to speak. Is it any wonder therefore that when we grow up we start looking for our tribe so that we can say we have found our place? If that motivation is what drives us then we can run into problems. Why? Remember back to when you were a child and you had a secret club with your best friend or a sibling. It might have included your own language and special signs. Whatever was involved, there was bound to be some rites and rituals. When we join groups as an adult, they each have their own rules and these are often unspoken and they are what help to give the group its identity. The problem is that if you then go and challenge them in any way, you too become a threat to the group and its raison d’etre so there is likely to be a strong reaction to you as a way of protecting the group’s identity. In part leading is about challenging the status quo. It is definitely about putting our stake in the ground, saying what we believe in and standing by that even when the response we receive is either hostile or indifferent. Over time, if we are doing that from a place of authenticity then our group of supporters will gros but this is not an overnight process and the journey to that place can be hard and lonely. Seth Godin writes that when we lead if we do not feel an edge of discomfort then we are not actually leading. If this is true then it is not surprising that so few people are prepared to take a stand and be a leader. And yet I believe that each and every one of us has a unique voice that needs to be heard to make this world a better place for us all. It is the role of some to help others find their voice because I believe leadership is like a dance in which we come together and each of us leads the others in one section.